Not sure the difference between an Ionic purifier and a HEPA purifier? Don’t worry. In this post, we will explain the pros and cons of each so you are armed with the best possible information to make the decision that is right for you, your home, and your family. To find out which type of air purifier is right for your home, take our free online quiz! Instead of relying on fans to move air through filters, ionic air purifiers send out negatively charged ions that bind to positively charged pollutants in the air. This sounds complicated, but is actually a very simple process. While there are a number of different types of ionic purifiers, the most common are electrostatic precipitators and air ionizers. Electrostatic precipitators use positively and negatively charged plates to collect dirt and dust particles as they pass through the machine. A fan pulls the pollutants towards the electrostatically charged plates, and collects them. Rather than having a dirty filter to replace, all you’ll have to do is clean the plates periodically. The upside of this method is that this type of purifier doesn’t release ions into the air, and mostly filters out larger pollutants. This actually disqualifies them of being true “ionic” purifiers, but they can still sometimes be called such, given their filterless style. Air ionizers, on the other hand, release negatively charged ions into your air, and bind to the dirty particles, causing them to become too heavy to float. They fall out of the air, and settle onto surfaces in your home. Then, simply clean as normal to wipe up the dust that has settled and remove the pollutants from your home. The best ionizers use Advanced Hydrated Photocatalytic Oxidation to release ions into the air. These shine a UV light on a catalyst coated with titanium dioxide, which creates a reaction that causes the release of charged ions known as ionized hydroperoxides. 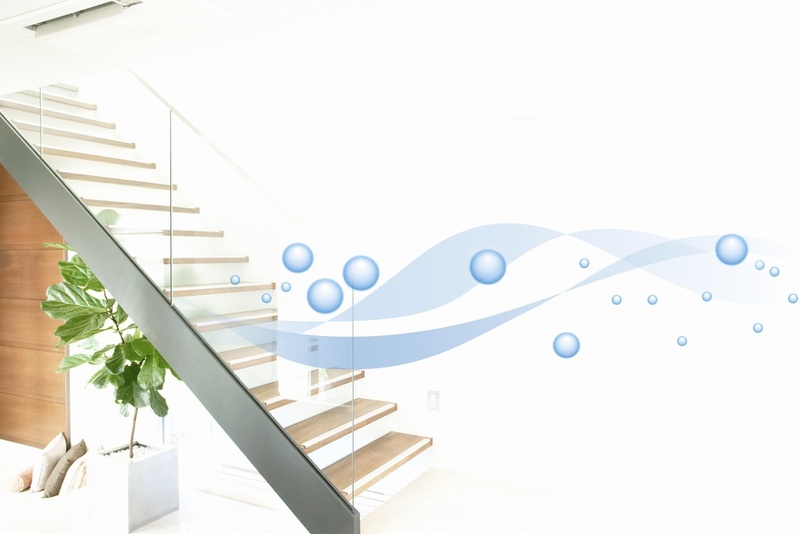 While in your air, these ions can neutralize contaminants throughout your living spaces. Ionized hydroperoxides last much longer in the air than basic ions, and they actively seek out contaminants to neutralize and break them down. Why Choose an Ionic Purifier? The process of ionic air purification sounds complex, but in practice is really quite simple. Because air ionizers have no filter or motor, they are quiet in operation. The design is simple so negatively charged ions are released with the simple switch of the “on” button. Ionic purifiers are effective at eliminating even microscopic particles from the air, including bacteria, mold, viruses, volatile organic compounds known as VOCs, dust, smoke, and allergens. Perhaps the best part of ionic purifiers is that they are inexpensive to own and operate. Without a fan or motor, they use little energy. Without a filter to replace, they involve little to no maintenance costs. The downside of ionic purifiers is that, depending on the quality of your unit, they can be inefficient or limited to the area in which they are effective, resulting in the need of purchasing several units. It’s important to note that some ionic purifiers can also emit unsafe levels of ozone, which can be toxic. HEPA stands for High Efficiency Particulate Air. This type of filter involves passively removing contaminants from the air by pulling air into the filter with a fan and then moving it through a complex filtering system. HEPA purifiers use glass fibers in a strategic configuration to capture large particles such as mold, dust, and other allergens while clean air freely passes through. This process traps contaminants within the filter, which should be changed periodically. Some HEPA filters come with anti-microbial coatings, so that mold spores don’t reproduce within the filter, further contaminating your home. HEPA air purifiers with carbon help filter out smaller pollutants as well as fumes, smoke, and other odors. As you might imagine, HEPA purifiers are very efficient, because all air that enters them is cleaned. They are highly effective at removing bacteria and allergens such as dust, pollen, and mold. On the other hand, it is important to consider that unless they come with an anti-microbial coating, HEPA filters can harbor bacteria and mold, acting as a breeding ground for further contaminants. They also may not efficiently filter out contaminants under .3 microns, like viruses, smoke, and fumes, unless they combine carbon and microbial filters. It’s important to consider that HEPA air purifiers can be expensive to maintain. Some filters can cost as much as $200 and need to be replaced approximately twice a year. This type of filter also uses more electricity than ionic purifiers. To figure out which type of air purifier is right for you, it’s important to first consider your personal needs. What type of issues are you trying to resolve? Are you more interested in removing particular types of pollutants, or are fumes and odors your greater concern? If you’d like some help figuring it out, feel free to take our air purifier quiz. There are indoor air quality kits available to help you identify which pollutants are the source of many of your indoor air quality problems. If odors or fumes are a concern, or if there is a smoker in the home, an ionic purifier is often the best choice. If allergens like pet dander or dust are the main concern, a HEPA purifier is the way to go. It’s important, also, to consider your budget. Ionic purifiers are much cheaper to own in the long run, with lower energy consumption and the lack of filters that need replacing. HEPA filters can be more costly, though there benefits in function that can offset those costs, depending on your budget and your needs. Combination HEPA filters can provide the best of both worlds. Our iAdaptAir purifier combines the best of high-end air filtration with the latest ionic air purification technology. Ionic air purifiers are quiet, cost-efficient, and filter-free. HEPA filters are particularly effective at removing odors as well as the smallest particles of dust and pollutants. Either way, you will enjoy the benefits of cleaner, fresher air. Whichever option you choose, you can’t go wrong with taking the step of ensuring your home and family’s health with providing clean, fresh air to breathe. After all, clean air affects every bit of our quality of life. Don’t hesitate to reach out for help with making a decision. We offer many solutions to achieving cleaner, better air to breathe, and are happy to answer questions about the pros and cons of each. Take our free Air Purifier Quiz today to find out.